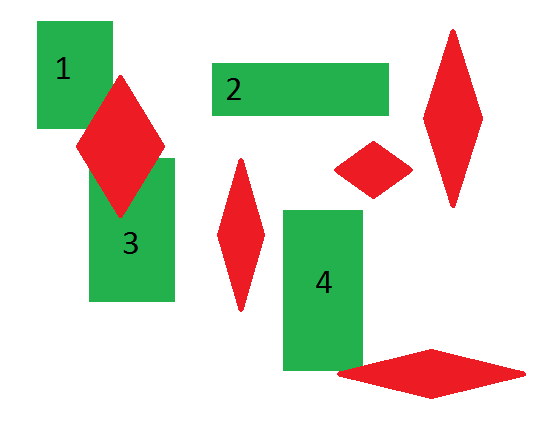 Identifying polygons that intersect with another polygon using ArcGIS Desktop? I have two polygon layers, a vegetation layer and a treatment layer. I want to add a field to the attribute layer of the vegetation layer to indicate if any part of the polygon has been treated (overlaps with a treatment layer). To do this I would use the Intersect tool which creates a new feature class that includes the feature IDs of both input feature classes. You can then use a join to isolate any features in either of the input feature classes (which retain their full polygons) to update a flag field to indicate their overlap. ArcGIS - add field of intersected polygons in points?